SwissKubik Starbox watchwinder. 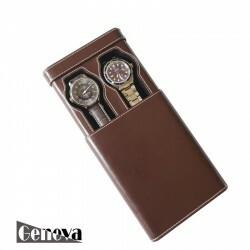 The case is precision constructed in polyamid, finely finished with soft touch painting. The watch carrier is fully adjustable to accept any size and style of watchstrap. The frequency and speed of rotation are important factors the STARTBOX has addressed. Suitable for all prestige automatic watches on the market today. The watch undergoes 90 cycles of 20 rotations each, a total of 1800 rotations every 24 hours. Between each rotation cycle,the watch holder stops automatically in its initial vertical position. Runs with 2 batteries LR14 giving a life span of over 2 years. A LED light is provided on the back of each model to indicate battery life. Watchwinder Swiss Kubik STARTBOX comes in 6 different colours. 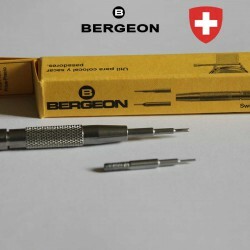 See the whole range on our webpages. The case is precision constructed in polyamid, finely finished with soft touch painting. The watch carrier is fully adjustable to accept any size and style of watchstrap. rotations per day as opposed to a daily operating duration. per day have been manufactured and tested using modern innovative technologies that give them great reliability and durability. - The STARTBOX watch winder is thus guaranteed for 3 years starting from the date of purchase. With its low energy consumption, the case uses two standard 1.5 V alkaline batteries (C – LR14 – BABY) which will ensure a continuous operating period of approximately 3 years. - The STARTBOX winder case has been factory programmed for a cycle of 900 rotations per day in each direction of rotation, which is sufficient for virtually all automatic watches currently available on the market. 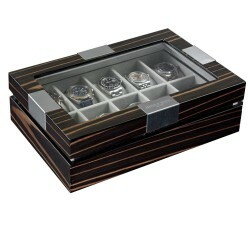 - The STARTBOX watch winder is programmed to rewind virtually all automatic watches currently available on the market. - When you flick the power switch to On, an LED flashes red and green alternately to indicate the startup phase and the watch winder detects the vertical position of the watch holder. - Then the watch undergoes 90 cycles of 20 rotations each (45 cycles clockwise and 45 cycles anticlockwise), a total of 1800 rotations every 24 hours. Between each rotation cycle, the watch holder stops automatically in its initial vertical position. A green (or red depending on the battery level) LED that flashes once every 5 or 10 seconds indicates that your watch winder is working properly. If the batteries are low, the red LED will flash once every 5 or 10 seconds. You must replace the batteries within 3 months. - The STARTBOX watch winder must be in the stop position (OFF) when placing or removing your watch on or from its support. a) Take the watch support out of the watch winder. b) Place your watch on the support with the bracelet clasp closed. The watch support consists of two flexible systems (a spring and a pliable base) which means it can be adjusted to suit different bracelet sizes. c) Reposition the upright support with the watch in the watch winder by pressing it in place up to the stop. a) Take the support with the watch out of the case. b) Remove the watch from its support by pressing the support or opening the clasp. c) Put the support back in the watch winder, pressing it in place up to the stop.